A couple of months ago, in a class we were taking, we were focussing on cleaning out our cupboards (which I still haven’t done) and on taking some self-portraits. Wearing so many hats at once is heavy. They constantly feel like they are all going to come tumbling down. Why do I own so many hats? 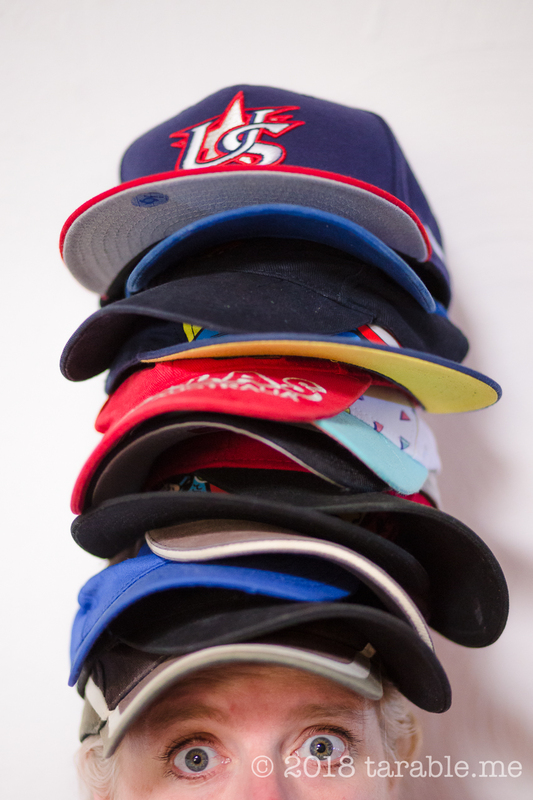 * Confession, these are not ALL my hats, but quite a few of them are. It’s hard to think about anything apart from the hats when you are wearing so many hats. I know that this analogy doesn’t carry over into all of life that well because everyone has multiple roles they fulfill, but I do think that often we want to project to everyone around us that we are fulfilling all these roles perfectly, all the time. And I’m pretty sure that anyone who says that they are is lying. I don’t post a lot on social media, because I have come to realise that we are often painting a picture that looks perfect from the outside. And I’m not perfect, and I don’t want people to think that I am. I try really hard to be real with the people in my offline life. Because as much as there are many highlights and wonderful moments in life, it is also messy and hard. And when we don’t share that we make life harder for each other. Perhaps it’s time for me to find a way to do that here in the open online world too.